When you order arepas at the bright yellow Four Brothers Venezuelan Food truck, you are greeted with “hola” and a warm smile. The welcoming faces and homegrown recipes make you feel like part of the Martinez family. On a cold, windy and rainy day in March, I took the bus to Four Brothers. 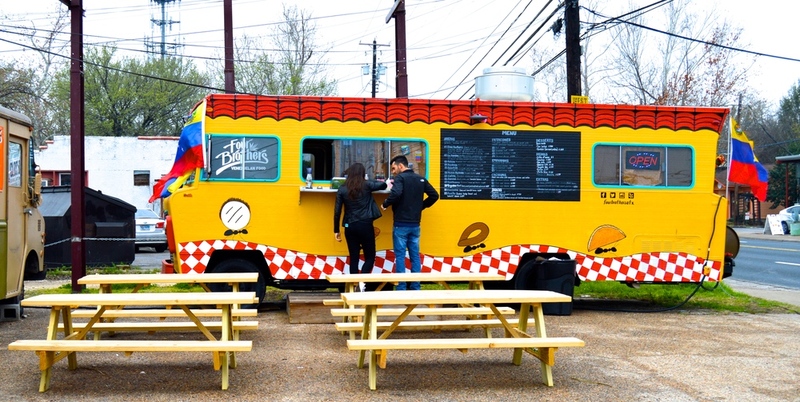 The food truck, which is owned and operated by Azalia Martinez and her family, opened on Valentine’s Day at the intersection of South First and West Live Oak streets. “In the fifteen days that we have been open, we have already established regulars who have come to eat up to four times,” Martinez says. The truck is instantly recognizable by its bright mustard yellow and red paints, designed to look like a Venezuelan house. As I approach, Martinez steps out of the truck wearing a red and white plaid cooking apron. The bags under her eyes suggest she’s had a busy day, but she still gladly greets me. Before the food truck, Martinez was a stay-at-home mother who cooked for her children. “The idea was brought up by my kids,” she says. “They wanted to buy the food truck and cook Venezuelan food to represent the proudness of their culture. They are going to work, and I am going to cook.” The name Four Brothers stands for the family, she adds. The menu is handwritten on the front of the truck. The food is divided into four categories of Venezuela’s typical dishes: arepas (stuffed corn cakes filled with guasacaca), patacones (fried green plantain sandwich), empanadas (Venezuelan fried stuffed pockets) and cachapas (sweet corn cakes with Venezuelan cheese and butter). This is my first experience with Venezuelan food, and as I learn what each dish consists of, I can’t help but think how they all sound and smell delicious. I heed their advice and order the Four Brothers Arepa. My order comes out quickly, and I immediately taste the perfect combination of sweet and salty. The fresh ingredients — fried plantains, beans, guasacaca, Venezuelan cheese and chicken — take me back to the days when my grandma cooked breakfast for my siblings and me in Mexico. When I leave the restaurant, I am satisfied with my meal and the service from its employees. 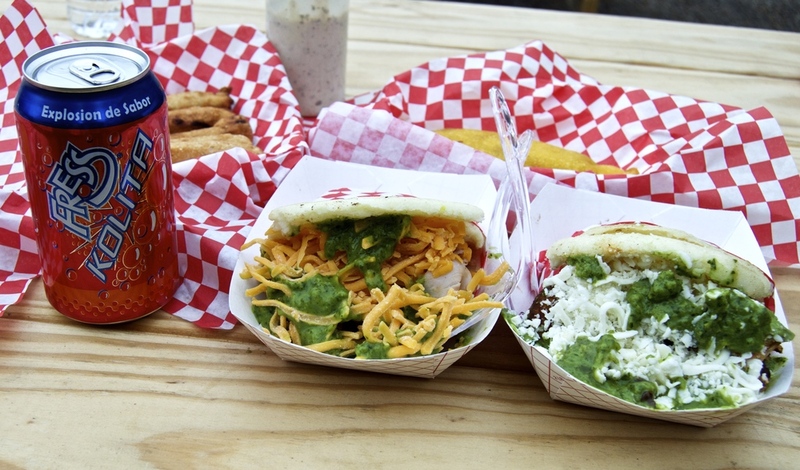 The arepa left me licking my fingertips in hopes of savoring every last bit of it. The employees served me promptly, and they were conversational, showing they genuinely cared about my experience at the truck. My trip was worth it on that cold, rainy day. Open Monday, Tuesday and Thursday 5 p.m. to 10 p.m.; Friday and Saturday 5 p.m. to 12 a.m.; Sunday 11 a.m. to 5 p.m.